Welcome! This definitive guide to the ionic framework -- an incredibly easy way to build beautiful and interactive mobile apps using HTML5 and AngularJS. We will help you understand the major aspects of the framework. We'll also be creating a running example of a calculator application throughout the tutorial. You're bombarded with reports all over the web that users tend to spend way more time on their phones and especially in apps (rather than surfing the web using their phones) and you decided that it's time to learn how to make an app. Up until fairly recently, if you wanted to make an app for (currently) two most popular mobile operating systems (iOS and Android) your only bet was to make the, so-called, native application. This meant you needed to make two versions of your application. Therefore, developers were opting either for iOS or Android, whereas big firms had two developing departments, one for each platform. Nowadays, with the Ionic Framework you can create one application by using the skills you, as a web developer, already have and then deploy this one codebase as an app to both iOS and Android stores. There are actually 3 ways that you can make an application for mobile devices these days. One of the pros of a native applications would be it's speed and direct access to a native API. A definite con of a native applications is that you need to build two (or more) applications, one for each desired platform. Mobile website is actually a "normal" website that you visit with your browser on your phone, designed specifically to adapt to your phone's screen. Developers used to make specific sites just for mobile browsers (on it's own domain; usually m.domain.com) but this proved to be hard to maintain. A practice called responsive website design is used these days, where you basically have one HTML codebase, and you determine the look for specific devices (based on resolutions) by using the so-called media queries in CSS. A definite advantage of the mobile websites is that you can update them without waiting for the approval from Apple or Google. One of the disadvantages are that the mobile websites these days have way lower engagement than they used to, and that you can't use any of the additional phone features. A hybrid app is a mobile application, written with the same languages that you use when building websites, with the addition that it contains an isolated browser instance, called WebView, which runs this web application inside of a native app. Hybrid apps can access the mobile device and use the additional phone features like for example camera or GPS. Definite advantage of the hybrid apps is that you can access the additional phone features via plugins and that you can do all the development with the same set of skills you use when developing "normal" web applications. One of the disadvantages is that, even though it's improving, the so-called Web View has it's limitations in terms of speed. Basically, you wouldn't use a hybrid approach if you want to build a 3D game. Disclaimer: This will sound like advertisement, so I have to say I'm in no way affiliated with Ionic, I just happen to like it so much that I'm sharing the love for it. generate icons and splash screens for all devices and device sizes with a single command: ionic resources. This alone saves you at least a day of image preparing for various sizes. easily access the full native functionality of the device using ngCordova (here you get to use any Cordova plugin) Also, Drifty (the team behind the Ionic framework) is building a full-stack backend services and tools for your Ionic app like Deploy (for deploying a new version without going through Apple review process! - this is huge! ), Analytics, Push notifications. Ionic CLI (command line interface) uses Cordova in the backend and allows you to build (directly using Ionic CLI) apps for iOS and Android (just by doing ionic build ios or ionic build android). Ionic uses Angular as a frontend framework so if you’re familiar with it, it will come as a bonus. They’re working closely with the Angular 2.0 team too. All in all, I personally think Ionic framework has a bright future, so if nothing else – give it a try I bet you’ll like the ease of making an app with it. We need to have Node.js and Git installed in order to install both Ionic and Cordova. If you're a web developer chances are that you already have these tools installed. If not, just visit the aforementioned websites and install them. We had to install Cordova because Ionic uses it under the hood. We're using the -g flag to install the packages globally. If you run ionic in your Terminal you will get a nice summary of all the commands that you can run using the ionic CLI, along with their short descriptions. Ionic CLI allows us to start and initialize your project by using the ionic start command. If you just run ionic start appname the Ionic CLI will create a bootstrap application with all the needed parts in the appname folder, with the so-called blank template. Great thing about this is that you automatically have a live reload feature, which means that as soon as you change the code in your www folder, the application will reload automatically so that you don't have to do it manually. If you like, you can get this project on Github. The problem is that we can't do calculations fast enough in our mind (except if you're Arthur Benjamin) and we need a tool to help us with that. Sure, there are specific calculator devices, but it would be too cumbersome to carry one with us all the time. where that is basically everything these days. At this point we don't need any fancy options, we'll just stick with the basic mathematical operations like adding, substracting, dividing and multiplying. These basic operations will be our MVP (Minimal Viable Product), as the author Eric Ries explains in his awesome (and highly recommended) book Lean Startup. We can always add features later, if it turns out that our idea was good. Or, we can pivot away from it, if it turns out it was not a next best thing, by not spending too much time and money building the app with dozen of features which in end would not be used at all. We're going to use Ionic Creator, which is a great tool that helps in quick user interface prototyping. The best thing is that you can just download the created HTML and use it directly in your Ionic application. First, we need some kind of a "display" which will show the numbers that we're clicking. Ideally, we would use a <label> component, however it's not available in the Ionic Creator as of yet. So, for this we will use the <input> element, and we can easily adjust this later when we'll download the generated HTML code. First you need to drag the Form component on the page, and then on it you should drag&drop the Input component as well. Next, according to our mockup, we should add buttons that would represent the digits from 0 to 9, and the buttons that would represent mathematical operations (+, -, *, /). Also, we will need the equals button (=) and a clear button (C). As you can see from the previous image, three buttons were added inside the Button Bar component. Click on a button with text 1 and change it to 7. Repeat the process for other two buttons by changing the text to 8 and 9, respectively. Note: if you followed this tutorial by creating the interface in Ionic Creator yourself, then you will have a different creator number. Of course, you're free to use mine if you wish to do so. Also, you're free to name your project any way you want, I chose Ionic_2ndTutorial in this example. hooks folder contains code for Cordova hooks, which are used to execute some code during the Cordova build process. For example, Ionic uses Cordova's after_prepare hook to inject platform specific (iOS, Android) CSS and HTML code. plugins folder contains Cordova plugins which are added to the project. You can add any available Cordova plugin to your project, and you can even create your own if you're technical enough. As you can see from the image above we currently have 5 installed plugins. scss folder contains the ionic.app.scss file which is based on SASS. This file contains default variables like for example theme colors. By default, you don't have to use SASS, but I encourage you to do so and learn more about it here. www folder is the most important since it contains all the files our application is made of, and we will be spending most of our development time in this folder. bower.json is a configuration file for Bower. Bower stores the downloaded front-end modules in a folder which is defined in a .bowerrc file, and is set to www/lib by default. config.xml is a configuration file for the Cordova project. It contains some meta information about the app like permissions and a list of Cordova plugins which are used in the app. To learn more about available settings in the config.xml file, please refer to the official documentation. gulpfile.js is a configuration file for Gulp. Note: you don't need to learn Gulp in order to use Ionic. But, if you want to add some additional features to your build process (like minifying your scripts), you can check out the official getting started documentation. ionic.project is a configuration file for Ionic, used to store meta information about Ionic project and the associated Ionic.io cloud account. package.json is a file used by npm to store versions of the npm packages installed in the current project. Both .gitignore and README.md are files related to GitHub. I'm sure most of the readers know and use GitHub (and consequently Git). .gitignore is a configuration file for GitHub. Contents of the .gitignore file, shown below, basically instructs Git that it should not track folders node_modules, platforms and plugins when uploading the code to GitHub. README.md is a Markdown file used on GitHub to explain the purpose and usage of your project. We'll take a look at two most important files (index.html and app.js) and explain their contents step by step. Also, we'll refactor our code into separate files, since Ionic Creator put everything in one. Finally, we'll add the calculator logic so that our calculator will work as expected. The starting point of our Ionic application is index.html. Now we'll go step by step through this file by explaining the certain lines of code. Also, we'll remove the unnecessary pieces, and move some other parts of the code to different files. The <meta> element is used to properly resize our application on mobile devices. Next, you can safely remove the <style> element completely out of the file. Next, as you can see, there is nowhere a reference to the js/app.js file inside the index.html file, thus meaning it's not used anywhere. If by any chance you've looked around the file structure of the application we created in the first section you will most likely find this strange. Indeed, Ionic Creator needs some additional tweaking, but I'm sure this will all be dealt with in the future. in our example this name is simply app. Well, this also looks like a good piece to take out and put into its own file. Again, if you saw the file structure from the application in the first section you might remember that the default place to put the template files is inside the templates folder. Contents of the app.js file bootstraps our Ionic (well, more accurately AngularJS) application, configures necessary plugins, and defines the states in our application. As we said before, the name of the root module matches the value given to the ng-app directive in the index.html file (app in our case). Also, we need to inject 'ionic' module dependency to our root module so that we can use the Ionic library directives and other Ionic components. $ionicPlatform.ready event is triggered after the device (your mobile phone on which the application is started) is all set up and ready to use. This includes plugins which are used with this project. If you would try to check if some plugin is available outside the ready function callback, you could get wrong results due to the fact that it is possible that some plugin would not have been set up just yet. Using the aforementioned $ionicPlatform.ready event and placing your code to check for plugin instantiations solves these issues. You can learn more about ionicPlatform utility methods here: http://ionicframework.com/docs/api/utility/ionic.Platform/. Inside the $ionicPlatform.ready function's callback, we're detecting if a Keyboard plugin is available in our Ionic application. If so, we're hiding the keyboard accessory bar (buttons like next, previous and done). You can change these settings, and quite a bit of additional ones (see a full list here), as per your project's requirements. just after the app.js inclusion script tag. We're defining a new AngularJS module called calculator, and we're defining a controller called CalculatorCtrl. In the CalculatorCtrl we're injecting AngularJS's $scope variable so that we can access the DOM in the calculator.html file. Ok, so, back to our controller code; first, we're defining a variable result on the $scope, so that we can show it in our template file (calculator.html). As you can see from the code, we're passing to the function an argument which basically represents the button which was clicked. on the input element, so that we can access it from the controller through the AngularJS $scope object. and you should see your awesome calculator open up in your browser. As mentioned in the beginning of this section, you can take a look at the source code on GitHub, or you can take a look at the live example of this application. In this section we showed you how to create a calculator application step by step. We showed how to create a mockup of our idea, then we showed how to create an interface by using Ionic Creator, and finally how to refactor our application and create the logic with controllers. At this point we have a working simple calculator application that lacks some sanitization checks and design improvements which we'll fix in this section. In our current application, we don't have a security measure against the possible malformed input. For example, one could enter two plus (+) signs one after another, which would consequently produce an error. template: "Ooops, please try again..."
You may have noticed that we added the toFixed after our eval function call, to show no decimal places in case of a division operation. At this point you certainly realize the "problem" of our SuperSimple Calculator - it has no way of entering the point (. ), but I hope that by now you learned enough to add this option yourself, if you would need it. Clearly, there are multiple ways you could approach this problem further in order to create a better user experience. One idea is to check on every button click if the current formula would execute correctly with eval and if not then immediately inform the user, or completely ignore the last clicked button. I encourage you to create your own way of the "improved UX" and share it in the comments. If we're being honest, our app currently doesn't look quite representative. So, we're going to change that in order to make it a bit nicer. Most of the changes that we're going to make will be in the CSS files. However, if you talk with any web designer these days they will tell you that using purse CSS is, well, outdated. Our main starting point in changing how our application looks like is the scss/ionic.app.scss file. It's contents is short, and even though you may not have used SASS before, I'm sure it will look logical to you. When, for example, you want to change the color you only need to change it in one place in one variable, without having to trace it through all the files and change the certain color in all the places that it is used. Flexbox is used here as a basis in making the layout which fills the whole content horizontally. You can learn more about it from this Ionic specific tutorial, or you can learn more about Flexbox in general from this tutorial. This way we now have an interface which fills the whole available content. The icon is an important part of your application because it represents your application's brand, and it helps to quickly identify where the app is on your phone. Ionic helps tremendously by providing a single Ionic CLI command to generate all the needed icon and splash screen sizes for us automatically (which usually used to be a tedious work). Also, Ionic created Photoshop Icon Template and Photoshop Splash Screen Template, which you can download for free and use as a guideline for creating an icon. Download and open up the Photoshop Icon Template and drag the calculator icon in Photoshop. Don't worry if you don't have Photoshop, you can use open source tools like for example Gimp or Paint.NET. Now copy icon.png and splash.png imagesto the resources folder in the root of the application (next to the folders www and plugins). Create the folder if you don't have it yet. From the output you will see how much icons were created and hopefully now you will see how much time this saved. All the needed configuration regarding the icons and splash screens was generated by Ionic and placed in the config.xml file. It's worth noting that you will only see the icon and splash screen once you deploy the application to the actual physical device or the emulator. 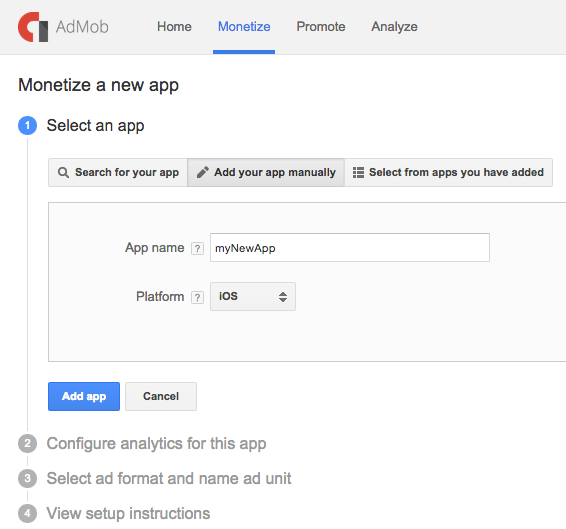 What we're going to cover here is the Ad-based monetization option where we'll show how to add Google AdMob ads to our calculator application. 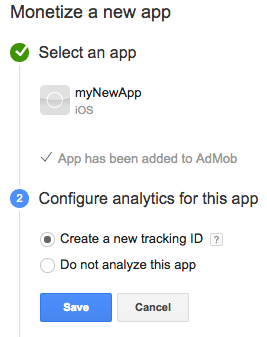 There are two parts to implementing Google AdMob ads to our Ionic project: AdMob settings and Ionic settings. I made a short video tutorial about how to add AdMob to your Ionic project, so you can check that out too. 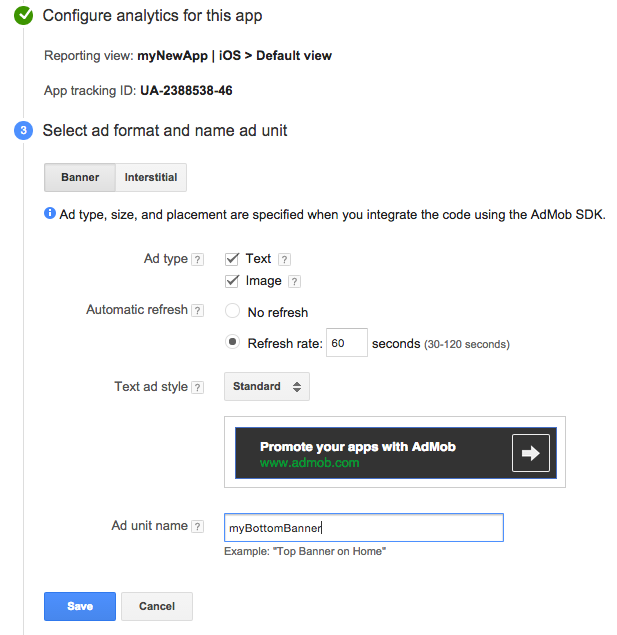 The most important thing to note here is this Ad unit ID, which in my test case is ca-app-pub-7957971173858308/3599533362. Please make a note of this string as it's the most important part of this setting. 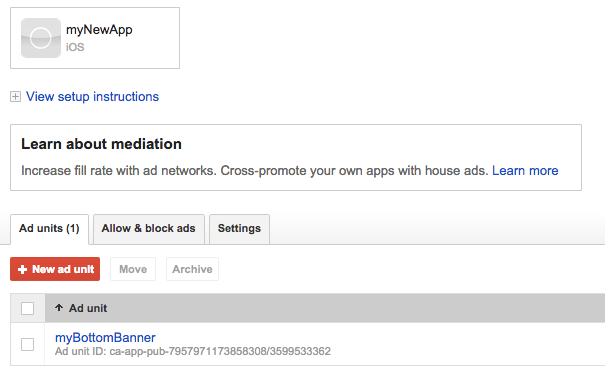 Create as much of the Ad units as you may need (for each platform[iOS, Android] and ad format [Banner, Interstitial]). In my case, I just created the additional Interstitial ad and will use them in both iOS and Android devices. The mentioned documentation states that it is strongly recommend to use the Interstitial ad type, because it brings more than 10 times more profit than the banner Ad. Interstitial ads work best in apps with natural transition points. The conclusion of a task within an app, like sharing an image or completing a game level, creates such a point. Because the user is expecting a break in the action, it's easy to present an interstitial without disrupting their experience. Make sure you consider at which points in your app's workflow you'll display interstitials, and how the user is likely to respond. The ability to immediately get feedback on something that you're working on, without having to install the app manually on your clients devices is indispensable for constant feedback loop which is crucial in rapid application development. This is something that Eric Ries stresses a lot in his book The Lean Startup. This will prompt you to login and after that it will upload the app to the Ionic.io cloud service and you will be able to view the app through Ionic View, which you can download for free on your smartphone from the App Store/Play Store. where, of course, you change EMAIL with an actual email address. Your client/friend will get an email which will guide him on how to install the application on his mobile phone. Also, if you view the app in Ionic View you will notice that no ads will show up. This is because Cordova plugins don't work in the browser, nor in the Ionic View. Instead, they have to be tested on the real device or in an emulator (simulator in iOS terminology). In this section, we're going to show how to install the needed prerequisites and how to run our application in an emulator and on the actual physical device for both iOS and Android. The main tool for developing native iOS applications is Xcode, which is praiseworthily free for download and it comes with a lot of simulators in which you can see how your app would look like on a real device. However, if you want to build and deploy iOS applications to the App Store, you need to have a Mac computer since Xcode only works on their operating system. Yes, even if you're using Ionic, you need to use Xcode to build the application for iOS. First you need to install Xcode, and you can do that through the App Store application on your Mac. Since we need to have an Apple Developer account in order to run the application on our physical phone device, we will cover this in the next section where we'll also show how to deploy the application to the actual App Store. You can develop Android applications on Mac, Linux, and Windows computers. Android provides a number of tools for developers that are available for free from their website. Download and install the Android SDK Tools from official website. The installation is a simple NextNextNext type of installation on Windows machine (if you downloaded the .exe version), and if you downloaded the zip file (on both Mac or Windows) then you need to extract them to a certain folder (C:\Dev or /Users/nikola/Dev for example) and set up the PATH variable correctly. Android SDK has an emulator that can emulate the screen size and resolution of most Android devices, but to be honest it's way too slow and clunky and I recommend that you do not use it. Instead, download Genymotion which is free for personal use. To test your application on your Android device, you have to enable the developer settings (steps may vary depending on your Android version). You should see a list of devices that are attached to your computer (Genymotion emulators will also show up here), among which the one that you just attached. Find the application in your application list and open it. You should see the ads in the bottom and after the fifth calculation you should see an Interstitial ad appear. In this section, we showed you how to polish our existing calculator application by improving the design and user experience. Next, we showed how to automatically create icons and splash screen images. 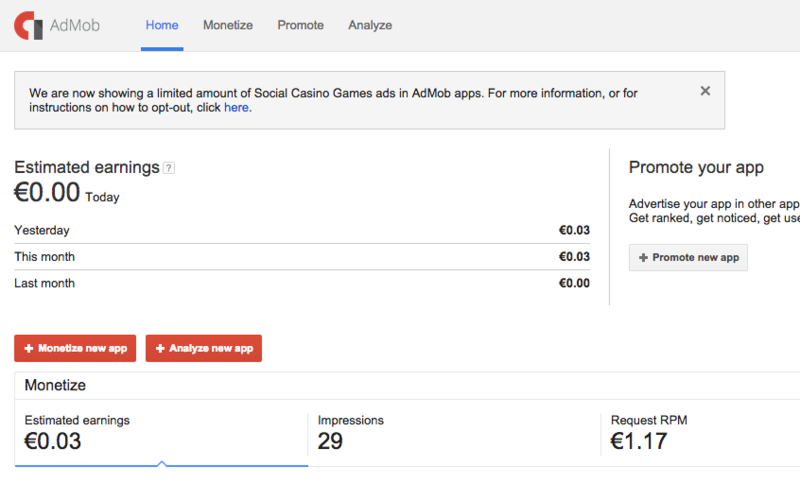 Then we covered how to make money with our application by using Google AdMob ads. Also, we showed how to share our application with other users without going through the app stores. Finally, we showed how to test our application on the real physical devices and emulators. Basically, you should remove any unnecessary plugins or libraries which you may have installed during development that you didn't end up using. In our example, we can safely remove the cordova-plugin-console by executing the following command: cordova plugins remove cordova-plugin-console. An Ionic Framework SuperSimple Calculator application. A keystore file stores the security key that we'll use later to sign our application. By doing this we can verify that we're the author of the application. You can learn more about application signing from the official documentation. This command will create a SuperSimpleCalculator.keystore file. You should place this file in a place where you'll remember it, because you'll need this file for any app updates you'll want to push to the Play Store. However, just to make things clear; for every new application that you make, you need to create a new keystore file. Now we'll sign the unsigned version of the APK with a keystore. We can do this with the tool called jarsigner. First, copy the keystore to the same directory where your unsigned APK file is. Next, rename the .apk file to something more meaningful, like for example SuperSimpleCalculator-release-unsigned.apk. The zipalign tool can optimize the APK file so that it reduces the amount of space and RAM required by the app on a device. The process finishes with the Verification successful output and you will get a SuperSimpleCalculator.apk file which you can submit to the Google Play Store. zipalign is not recognized as an internal or external command, operable program or batch file. In this case, you need to search your computer for the zipalign file, and make sure it's in your system PATH to fix this problem (in my case, on Windows, the path to the file was C:\Android\android-sdk\build-tools\21.1.2\zipalign.exe). To build an update of an existing app you have to follow the same steps, except that you have to use the same keystore to sign the application for every update, because the update will be otherwise rejected and you'll have to create a new app listing. You must update the version in the config.xml file for the next release, otherwise the app will not be properly updated. To learn more about versioning you can take a look at the official documentation, or this StackOverflow question. The first thing you should do is sign up for the Google developer program at https://play.google.com/apps/publish/signup/. You'll need to pay $25 one-time fee for a developer license. You start by clicking the Add new application button after which the popup appears, as show on the image below, and you have to put a Title for your application. Here you basically have options to Upload the APK and to Prepare the Store Listing. We're going to upload our APK to production, by simply clicking on the Upload your first APK to Production button once on the PRODUCTION tab, then selecting the signed APK that we made in the previous section. Once the upload is finished you'll see something like it's shown on the image below, and on the left hand side you'll see the green checkmark next to the APK, meaning that you've completed the APK upload step. Next you have to set the graphics for your application. Please note that you have to put at least 2 screenshots! Next you have to click on the Save questionnaire, and after that on the Get rating button. After the content rating is done, you'll be able to click the Apply rating button. First, you need to enroll in Apple Developer Program, and the fee is 99$ paid yearly. Next, through the Apple Developer Member Center we'll set up the app ID identifier details. Identifiers are used to allow an app to have access to certain app services like for example Apple Pay. You can login to Apple Developer Member Center with your Apple ID and password. On the next screen, shown partially on the image below, you'll have to set the name of your app, and use the Explicit App ID option and set the Bundle ID to the value of the id in your Cordova config.xml <widget> tag. Additionally, you'll have to choose any of the services that need to be enabled. For example, if you use Apple Pay or Wallet in your app, you need to choose those option. By default you can't deselect Game Center and In-App Purchase options, but for details on how to do this you can take a look at this Stackoverflow question. This will show three options in a dropdown, and you should select the New App. After this the popup appears, as shown on the image below, where you have to choose the name of the application, platform, primary language, bundle ID and SKU. As you can see on the image below I had to name my application differently, because SuperSimple Calculator was taken by some other application already published in the store. Now, before we fill out everything in the listing, we'll build our app and get it uploaded with Xcode. Then you'll come back to finish the listing. If everything went well you'll see the BUILD SUCCEEDED output in the console. Open the platforms/ios/SuperSimpleCalculator.xcodeproj file in Xcode (of course you would change SuperSimpleCalculator with your own name). You should just check that the bundle identifier is set up correctly, so that it's the same as the value you specified earlier in the app ID. Also, make sure that the version and build numbers are correct. Team option should be set to your Apple developer account. Under the deployment target you can choose which devices your application will support. At this point you can click the Upload to App Store... button, and if everything goes fine you'll have an uploaded app, and the only thing that's left to do is to complete the iTunes Connect listing and submit it for review! Missing Push Notification Entitlement - Your app appears to include API used to register with the Apple Push Notification service, but the app signature's entitlements do not include the "aps-environment" entitlement. If you're not using Push Notifications then you don't have to worry, as stated in the official Ionic framework forum. Next, click on the 1.0 Prepare for Submission button. When we uploaded our archive, iTunes Connect automatically determined which device sizes are supported. As you can also see on the image below, you'll need to upload at least one screenshot image for each of the various app sizes that were detected by iTunes Connect. From my personal experience, the easiest way to generate these images is to simulate the app in Simulator and make a screenshot of different screen sizes. However, please note that you have to make sure that your Window -> Scale property in the Simulator is set to 100%, otherwise the image size will not be the one as expected in iTunes Connect. Next you'll have to upload the icon, edit the rating, and set some additional info like copyright and your information. Note that the size of the icon that you'll have to upload here will have to be 1024 by 1024 pixels. Thankfully, you can use the splash.png from the second section. 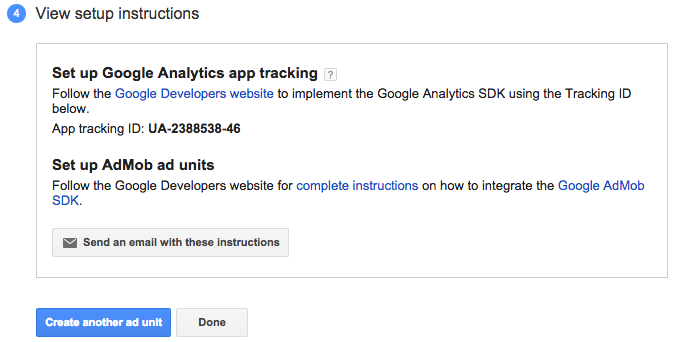 If you're the sole developer then the data in the App Review Information should be your own. Finally, as the last option, you can leave the default checked option that once your app is approved that it is automatically released to the App Store. The only "tricky" question may be the one about Content rights. In our example we can safely select No. Since we're using AdMob in our application we have to select Yes in the Advertising Identifier and check the Serve advertisements within the app checkbox. You can learn more about it from this StackOverflow question. After you submit your app for review you'll see the status of it in the My Apps as Waiting for review, as shown on the image below. Also, shortly after you submit your app for review you'll get a confirmation email from iTunes Connect that your app is in review. Apple prides itself with a manual review process, which basically means it can take several days for your app to be reviewed. You'll be notified of any issues or updates to your app status. From my personal experience it usually takes up to 5 days for the app to be reviewed. Since you'll probably want to update your app at some point you'll first have to update the build and version numbers in the Cordova config.xml file and then rebuild the application and open it up from the Xcode and follow the same steps all over again. Once you submit for the review, you'll have to wait for the review process again. It's pivotal to note that if your changes aren't too big you could use Ionic Deploy to update your application without going through the review process, but more about this in the future tutorials. In this final section we showed you how to prepare the application for the Apple's App Store and Google's Play Store, how to create the listings and finally how to publish the application to both stores. If you have any questions about this tutorial, please read the following help guides. Of course, I encourage you to ask a question in the comments so that anyone else who may have a similar question or doubt, learns something too. With this, I leave you and hope you had a great learning experience with the series so far. We have few of the project ideas lined up already for the next posts. However, I encourage you to share your wishes and ideas about what kind of an app would you like to see built step by step. Remember, I'm here to help you get the best of Ionic framework so don't hesitate to ask. For a quick framework reference, I'm suggesting the official documentation, which is indeed very good. One of the best resources on the net for programming related questions, about which you've no doubt heard, is StackOverflow. You can view the specific Ionic tagged questions via this link or even this one. However, I urge you to please read their help page before posting questions (especially if you're a new user to StackOverflow) because otherwise you may have a bad experience. If you're a new StackOverflow user, who's in a hurry to get acquainted with it, make sure you at least go through this 2-minute tour. To get started with AngluarJS try these few resources, not necessarily in that particular order. Let me just kind of repeat myself by saying that if you have any questions about Ionic framework, or you had trouble following this tutorial (you couldn't install something), or you would like to suggest what kind of tutorials you would like to see regarding Ionic in the future, then please share it in the comments below. Also, you can reach me personally via @HitmanHR or my blog. I'll do my best to answer all of your questions. If, however, you favor "one on one" help, you can reach me via HackHands.